I have a new brush you may want to consider to add to your beauty bag! And, it is not for your teeth, to apply your make-up or for your head of hair either! Let me explain. You probably use several brushes in your daily health and beauty routine, but, there is another brush that may help, too! Exfoliation is a critical part of a great skin care routine as it creates a wonderfully smooth complexion. 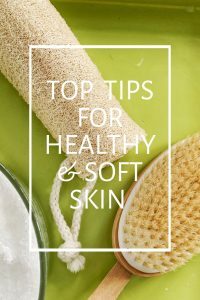 But, a technique using a special brush for your body – a dry brush – and regularly dry brushing your body is exfoliation amplified. Some consider it part of their beauty routine, but dry brushing? It does so much more than just bring on that beautiful glow. Roll down to learn more why you should consider dry brushing as a regular beauty and health habit and why it is one of the easiest, cheapest and most effective routines to promote healthy skin and body. Find a variety of dry brushes and some toxin-free moisturizers, too! 1. Dull, dead skin is buffed away in seconds. The act of brushing sloughs off dry skin exposing a new, youthful layer. And, after you dry brush your legs, you can get the closest shave ever! 2. Your complexion takes on a beautiful glow. 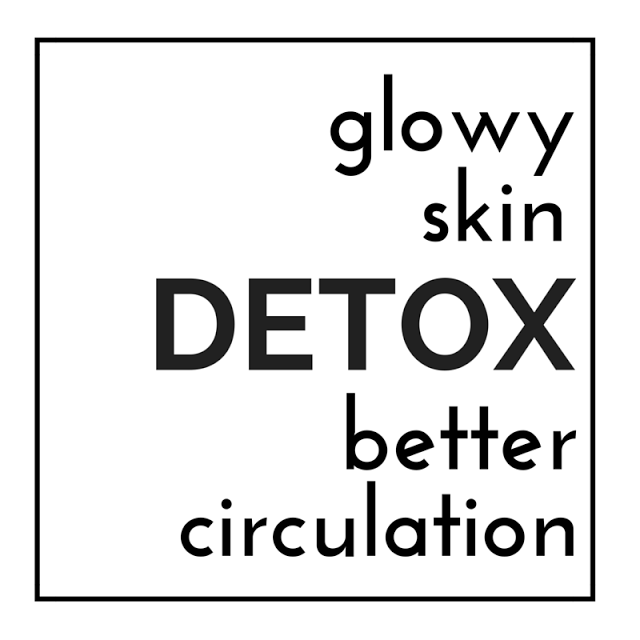 The blood flow it creates gives a rosy complexion and tighter skin. Dry brushing opens and clears the pores of dirt and grime that could contribute to acne. 4. Dry brushing is a great first step to your skin routine. Serums or moisturizers you use after dry brushing can be readily absorbed because of the pore-opening results of the technique. 5. Some say it can help banish cellulite. No scientific proof on this one, but many claim it helps diminish that stubborn combination of fat and connective tissue. Dry brushing wakes up the circulatory and lymphatic systems bringing blood to your organs as well as filtering waste. Find out more here about how our circulatory and lymphatic systems work and why they are so crucial. 7. Dry brushing can help detoxify your body. It helps move the lymphatic system along, therefore, drainage of fluids. 8. Your kidneys and colon will thank you. The heightened circulatory and lymphatic system aids in digestion and kidney function. 9. 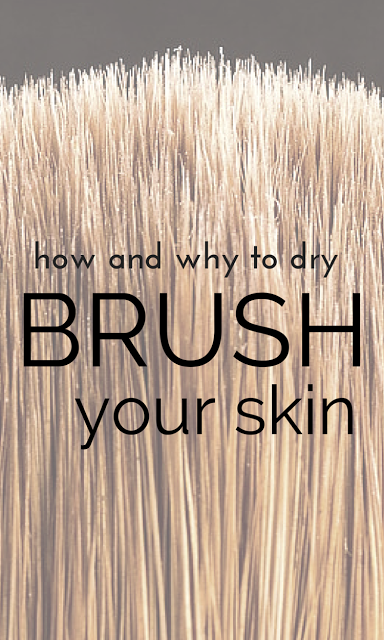 Dry brushing regularly keeps you aware of your body and any changes. Dry brushing is a great time to do skin exams. It keeps you aware of any changes you may notice over time to moles or texture, etc. 10. The act can energize you! Dry brushing enhances your level of alertness as it is invigorating. Dry skin brushing also rejuvenates the nervous system by stimulating nerve endings in the skin. It really wakes you up! The dry brush method really takes only minutes, but keep in mind these tips and 3-step process to get it right. Always brush towards the heart with long, graceful, upward sweeps. Avoid harsh movements or back and forth sweeps. Do not brush too hard. Your skin may be pink from increased blood flow but this should not hurt. Do not brush sensitive area like your face or injured or bruised skin or scrapes, cuts, etc. Many find the ideal time to dry brush is before showering or bathing for the day. It can be energizing so you may want to think about this as part of your morning routine – every day or even a few times a week depending on your skin sensitivity. Place the brush near your towel so you won’t forget! Start brushing your skin at your feet and work up your legs (front and back) and hips one at a time. Next, start brushing up your torso, your sides, and your back. On your stomach, direct the brush counterclockwise. Then, work the brush from your hands up the arms, both sides, toward your chest. Sweep over your shoulders onto your chest as well. On your neck, brush down towards your heart. Your dry brush should contain bristles that are natural, not synthetic. The bristles should be somewhat stiff, but not too hard. Look for one that is comfortable in your hand. But, no matter what kind you buy, make sure to regularly wash your dry brush with hot, soapy water and air dry to keep bacteria away that could cause breakouts or infections. Check out the various styles of body brushes below and some nice body moisturizers – toxin-free, of course – to take optimal care of the skin on your body! Don’t miss this: Here is my 5-minute process to clean all the brushes I use every day to keep infection away and make them last! Looking for more natural beauty and skin care tips? Follow my board with great ideas for natural ways to look and feel great! So, tell me. Are you a dry brusher? Please do share with the readers your experience with this technique or if there are any dry brushes that are your favorite. You will love the effect and your body will thank you! So great you learned all about it here, Lindsey. That makes my day! I dry brush every day before I shower although I don' clean out my brush as often as I should. I find dry brushing helps loosen up tight muscle too. Visiting from Healthy Happy Green & Natural blog. Maria – so glad you do this daily! Great point about loosening up muscles, too. I am sure the extra circulation helps with that. I really appreciate you adding in here. Glad you were introduced to something new here, Jennifer! The brushes I see all around and on-line as well. Other cultures have been doing this for years. I've heard of dry brushing but never tried it! Thanks for sharing more info! You are very welcome. I hope you try it and pop back and let me know what you think! I have heard that dry brushing is good for you but I've never tried it! This is really great advice! Glad you think so, Janelle! That means a lot. All the steps are there to a successful and easy routine. I've never heard of this before! So interesting. Thanks for the tips! Apparently, a new thing to many although it has been around for a loooong time! I hope you consider it, Julie, and let me know what you experience! I've never heard of dry brushing, but it sounds like it has wonderful benefits. Thanks for sharing at the Blogger's Pit Stop! It does and I hope you do try it, Debbie! Great of you to come by! Wonderful to try for yourself, Launna! I am delighted to hear you find interesting ideas here and I always enjoy hearing your comments and I thank you so much for passing the word! This is awesome! I've been wanting to try dry brushing but never got around into finding out more info. Thanks. There you go! Glad to help you find what you need, Jill! Hope you love it as much as I do. I've heard of dry brushing but I've never tried it!! You should, Liz! It is an inexpensive route to glowy, soft skin with health benefits, too! I have been wanting to add dry brushing into my regular routine, and I got a dry brush for Christmas, so I'm definitely starting now! This article is very helpful and timely for me! Great! Hope you enjoy your new routine! Thank you so much for sharing! I hope you'll come back again this week for Awesome Life Friday! I am going to try this soon! So glad you I could introduce you to something new! And, thank you for asking me to link up. I will do that now. Cheers!